Over the years I've tried many planning methods, with very low success. 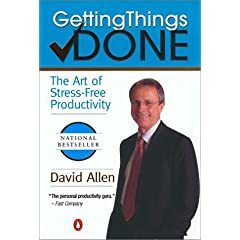 I tried GTD (https://www.amazon.com/Getting-Things-Done-Stress-Free-Produ...) for 7 years before declaring it a failure. It does have some good ideas that I still use, but the TODO management didn't work for me. I think it'll work only for people who have fewer goals than I do. It doesn't handle large lists very well. 1. Filing cabinet - Instantly useful from day 1. 2. Calendars are only for hard deadlines. Don't put stuff in there that you merely want to do. I know this is the opposite of the submission here. For me, planning everything in the calendar, including things I could ignore, led to a mess. Keep it for things you really cannot ignore. In general, any obsessive time based planning like this submission fails for me. GTD is not time based. I prefer planning my tasks for the week, not for the hour. I like the idea behind Kanban, but I do not think it fits most of our personal lives. Very good for certain work environments, though. Pomodoro technique: It's good, but not really for task management. It's just a good technique to stay focused. Worked for a few months until I got used to it. Now it does not keep me focused and I can easily get distracted by the web, etc. Personally, I feel the book is better than the PDF at explaining the rationale behind the 1 minute todo list. Reading it was very calming. It explained all the problems I had had with GTD and similar techniques. 1. If you cannot examine your todo list inside of a minute, it is too long. So spend a lot of effort ensuring your daily todo list is not long. 2. Urgency and importance are not the same. We're hard wired for focusing on urgency, so do not try to make a TODO list purely based on importance. 3. Every week, identify everything that must be done in the next 10 days and put it on your list that you'll examine daily. Things you decide not to do in the next 10 days, keep in your "list to examine weekly". 4. Every day, multiple times of the day, look at the short list and do tasks from among them. If new tasks come in, add them, but keep the list short (no more than 20-25 items). If your list is getting too long, identify things to move to the "list to examine weekly" and get them out of the way. 5. If something needs to be done today, put it on the top of your list! 6. You'll also have "the list to examine monthly" as well as quarterly. Very simple idea - works a bit better than GTD. I think my biggest problem is that I need to reduce the goals in my life and focus on only a few. I have more goals than time in my life, and I keep jumping from one to the other. No task management system will work until I do this. Tough decisions need to be made! Mythical Man-Month, Fred Brooks . Very informative series of essays on his experiences and lessons learned with IBM. If nothing else, helps to properly frame my expectations on projects with respect to resources needed to properly coordinate with others, and the pros and cons of adding people to projects at different stages (and in different roles). 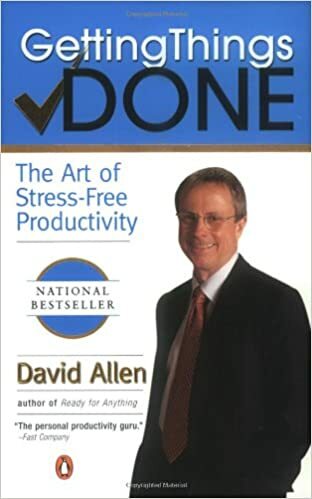 Getting Things Done, David Allen . Useful toolkit for getting things out of my head and onto paper (or org-mode or OmniFocus) so that I can properly focus and prioritize my time on the things I need to get done. Moonwalking with Einstein, Joshua Foer . I've always had a good memory, I actually picked this up to give to a girlfriend who had a terrible memory and read it in a couple days before giving it to her (she was out of town when it arrived). Helped to explain methods that I'd somehow developed over the years, and gave me concepts and a better understanding of other methods of memory acquisition (for either short or long term purposes). If you really want to improve your memory, there are probably better resources to learn specific techniques, but this was an informative and entertaining overview. WRT work, we have to keep large systems in our minds all the time, and potentially dozens of different systems written in different languages. Memory is critical for this, even if it's just the memory of where to find the information and not the information itself. Fluent Forever, Gabriel Wyner . This one is my current read. Goes back to Moonwalking with Einstein. While the book is itself about language acquisition, it's actually given me quite a bit to think about with respect to general learning and memory acquisition (in this case, specifically for long term retention and recall). We have a couple training programs (we need more) for our new hires on development and testing. There are some concepts in here and in related readings that I think would greatly improve how we teach these folks what they need to know and in a way that would improve their retention of that information. We have a lot of people retiring in the next 1-3 years, so this is actually quite critical right now, though management is quite lackadaisical about it. The Toyota Way, Jeffrey Liker . I grokked Lean from this. Hardware focused, but the concepts can be (and have been) generalized to other process focused fields. This has helped with understanding what business processes really need to be codified, what feedback mechanisms need to be present for improvement, the criticality of bottom-up feedback and improvement (employee investment in the company/product cannot be overvalued if you want quality and good craftsmanship). The Little Schemer, Friedman & Felleisen . Going back to the comments on Fluent Forever. The structure of this is fantastic for conveying and helping students retain information. The Socratic method is very useful, and structuring courses and introductory material in this format is useful, this happened to be my introduction to it (well, I'd heard it before, but my first time really encountering it in practice). It's a useful tool for solo-study of a topic (pose your own questions and construct answers), and as a method of guiding someone to a conclusion or better understanding. Also useful in debugging software or decoding software you didn't write, after a fashion.